The first day of Star Wars Celebration IV commenced in LA, California, on this day back in 2007. The now 10-year-old Star Wars Celebration was the fourth Star Wars Celebration hosted by Lucasfilm and was held at the Los Angeles Convention Center from May 24 to May 28, 2007. Fans were entertained with stage shows such as A Conversation with Carrie Fisher on the concourse stage and Del Rey, Dark Hose Comics and Robot Chicken panels on the behind-the-scenes stage. A huge number of celebrities attended and fans were able to get autographs from the likes of Carrie Fisher, Kenny Baker, Anthony Daniels, Daniel Logan, Peter Mayhew and Jake Lloyd. In addition, an official six-movie Star Wars marathon, a 17-hour long event, was screened on Wednesday May 23 from 9:00 AM to celebrate the climax of the final chapter of George Lucas' Star Wars Saga and the 30th anniversary of Star Wars: A New Hope. 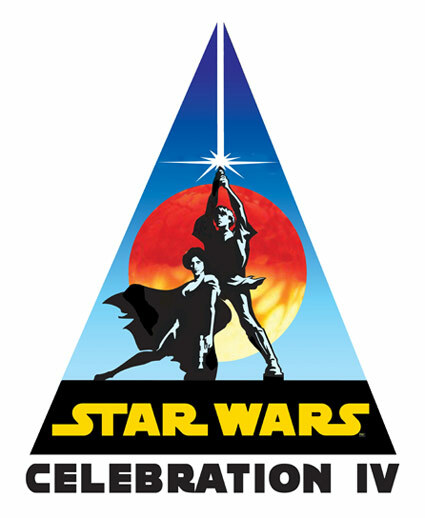 The first announcement of Star Wars Celebration IV was made by StarWars.com on May 26, 2006, almost a year prior to the launch of the event. Ten years on from Celebration IV and fans were celebrating the 40th anniversary of A New Hope at Star Wars Celebration Orlando (April 13 - 16, 2017). Let us know what your favorite memories from Celebration IV are in the comment section below.